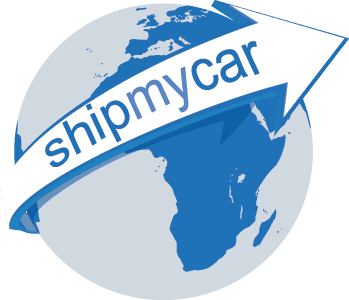 So you have decided to make the journey and are relocating to the UK, you have organised a container to carry all of your personal effects back and your chosen shipping company say they can bring your car back for you too… but have they told you the full story about importing a car to the UK? Merely shipping a car to the UK, and shipping a car to the UK for use on UK roads are two completely different challenges. What is required for importing a car to the UK? Firstly, if you are shipping with a relocation company who do not specialise in the full service import of cars to the UK, ensure they have provided the correct marine insurance for your vehicle – you want all risk insurance which covers you not just for total vehicle loss, but also those bumps and scrapes which can be costly to fix in the UK if not insured. DVLA registration – to drive the car here in the UK it will need to be registered and taxed, this is a tricky procedure if you do not like paperwork! We take over the complete process for you from door-to-door. We collect the car from your address in the USA, put it safely in a container, straped and chocked properly to avoid movement and with no other items to fall on the car during transit. We then correctly insure the vehicle for transit, unload it in the UK carrying out correct customs procedures, carry out all neccesary testing, registration and road tax. We even fully valet the car, provide you with ancillary services such as audio conversions, handsfree driving kits, servicing etc prior to you collecting the vehicle. We deal with many large companies who relocate their employees and so can provide full VAT invoices for ever component of our service. If you have already shipped the car to the UK, we are more than happy to take over the process in order to assist you to drive the car here in the UK as quickly as possible.